Now we've finally invested in a Vitamix one of the first things I was eager to try was making our own almond milk. It really is crazy simple! 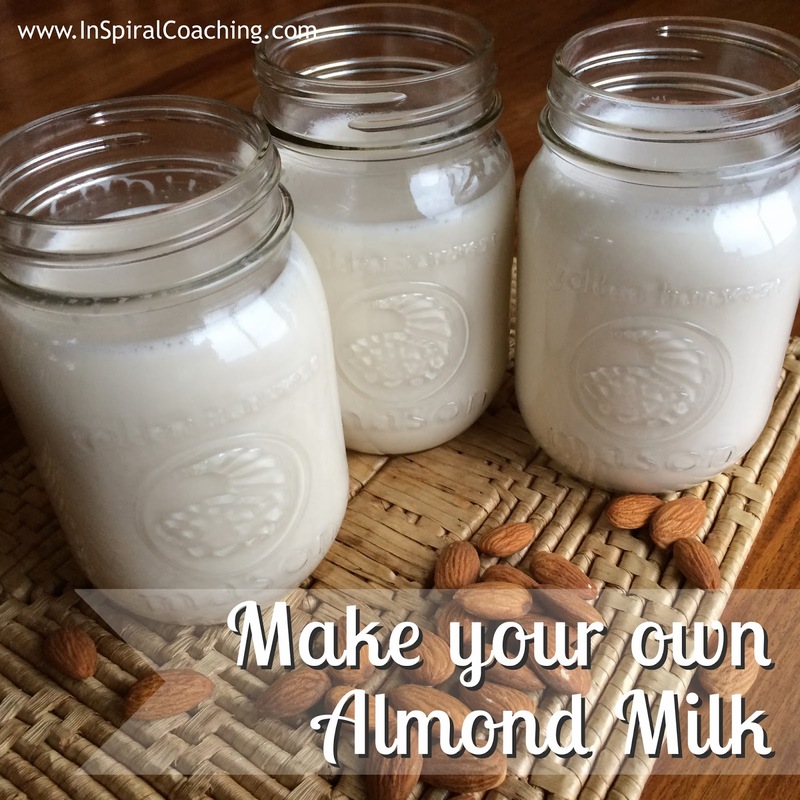 Sieve through a nut bag or fine mesh cheesecloth - however if I'm just making my almond milk to use in a smoothie or to add to oatmeal for example, I don't sieve it at all. That way I get all the benefits of the nuts in one go! If you do decide to sieve your mix, don't throw the 'residue' away - spread that out thinly on a baking tray and pop it in a 180 degree oven for 3-4 hours to dry out. Once dry, put it in a food processor to smooth out all the lumps and you have yourself some almond meal!